Is Your Child Suffering from Bruxism? You are here: Home / Blog / Is Your Child Suffering from Bruxism? Because bruxism (teeth grinding) has many negative consequences, you should talk to a St. Louis pediatric dentist right away if you think your child may be at risk. As a parent, there are few things worse than your child coming to you with a pain that they don’t understand. Even worse, you might not be able to figure out what is causing their discomfort. One case where this often happens is when a child has bruxism, which is the medical name for teeth grinding. 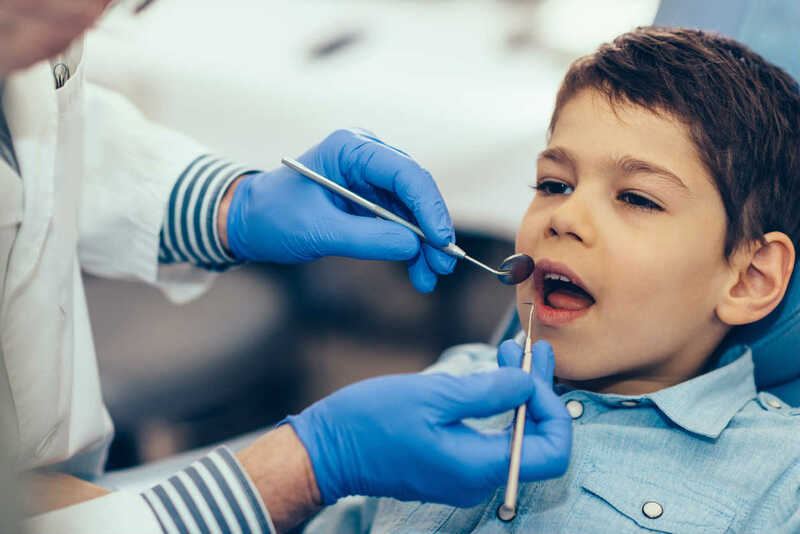 Because bruxism has many negative consequences, you should talk to a St. Louis pediatric dentist right away if you think your child may be at risk. In this article, we will discuss the basic warning signs and causes of bruxism so you can identify it as quickly as possible. Though bruxism can present itself in many ways, there are five are that are most common. If you notice any of these warning signs, you should consult with a dentist. Tooth Appearance – When your child grinds their teeth, they are doing damage to them. Sometimes, this is tough to see, but other times it is not. Severe grinding can lead to chipped, flattened, or enamel-worn teeth, all of which are easy to recognize. Tooth Pain and Sensitivity – The most common symptom surrounding bruxism is pain and sensitivity of the teeth. When a person grinds, they put intense strain on their teeth and gums. That strain leads to pain, which can be felt during brushing, flossing, or eating. Soreness in Jaw, Neck, or Face – Some patients do not feel their bruxism in their teeth. Instead, the clenching and grinding lead to soreness in their jaw, neck, or face. This can confuse anybody, and children especially because their teeth are not in pain. If your child feels this soreness, you should investigate if it is due to grinding or other factors. Dull Headache in Temples – This is another symptom that confuses people because these headaches feel similar to a typical headache. The difference is that grinding headaches are felt more in the temples, while regular ones are felt throughout the head. These types of headaches often accompany jaw pain. Poor Sleep – Your child may not show any other symptoms, but find that they are waking up tired in the morning. The reason for this could be bruxism, which decreases sleep quality. There are many reasons why a child might be sleeping poorly, but grinding is one of them that is worth looking in to. Some common causes of bruxism are stress, having an aggressive personality, certain medications, a family history of grinding, and simply being young. An additional risk factor is having a different disorder that contributes to grinding, such as ADHD, sleep apnea, or night terrors. Once you identify that your child might have bruxism, it is time to find out. The best way to do so is by visiting a St. Louis pediatric dentistry office. There, the dentist will look at your child’s teeth and decide if they have been grinding or not. If they have, you don’t want them to continue suffering from the pain, sensitivity, and poor oral health that come with bruxism. Instead, you can discuss your treatment options with the dentist.